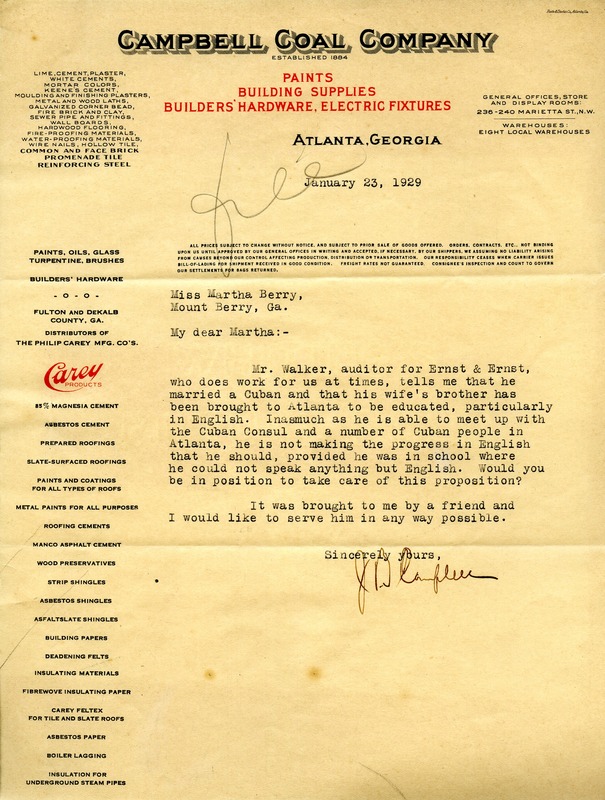 Mr. Campbell writes to Martha to inquire if an auditor named Mr. Walker who works with the Coal Company might be able to attend Berry, or at least receive lessons in English. Mr. J Campbell, “Letter to Martha Berry from Mr. Campbell.” Martha Berry Digital Archive. Eds. Schlitz, Stephanie A., Aaron Jackson, et al. Mount Berry: Berry College, 2012. accessed April 25, 2019, https://mbda.berry.edu/items/show/9677.